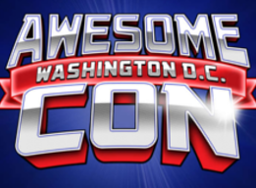 We are thrilled to announce that District Trivia will be providing entertainment at Awesome Con! Join us as you register and head into the exhibit hall - we'll be hosting mini trivia games on Friday, Saturday AND Sunday morning! Friday we'll be there from 10am-12pm, Saturday from 7:30am-9:30am and then Sunday from 8am-10am! We'll be giving out a ton of fantastic prizes.